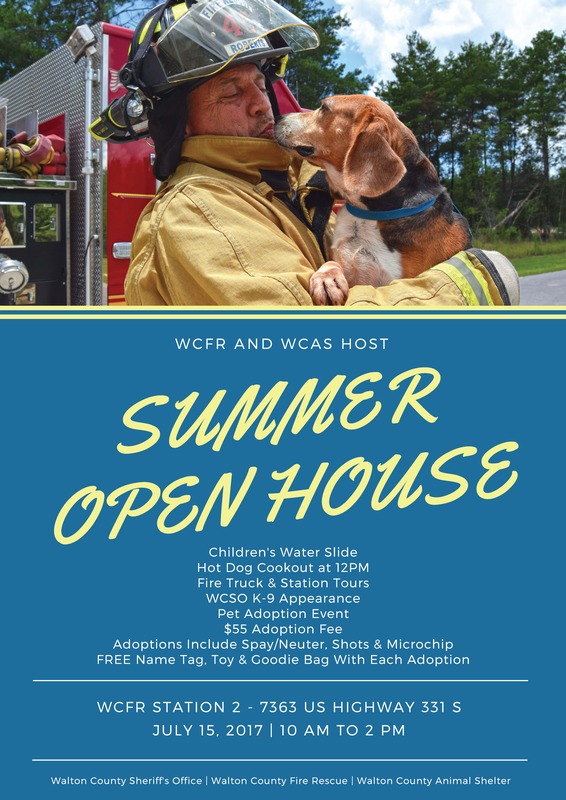 Walton County, Fla—On Saturday, July 15th, Walton County Fire Rescue and the Walton County Animal Shelter will host a summer open house to help save lives. WCFR firefighters teamed up with the volunteers and staff at WCAS to put together a family-friendly event to help promote pet adoptions and provide families with a fun summer activity. 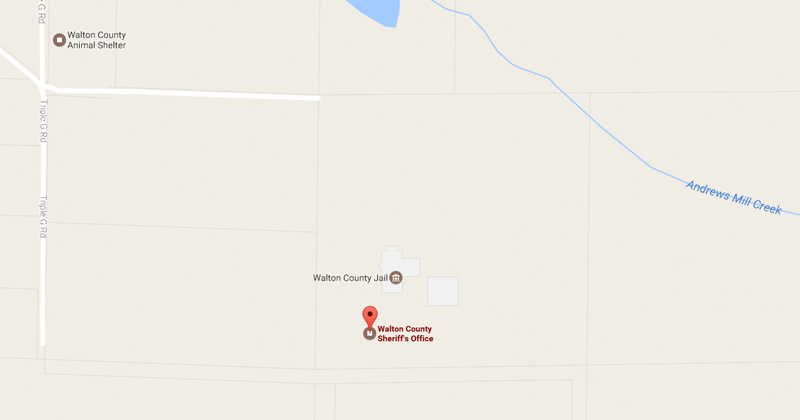 The Walton County Sheriff’s Office will be setting up their summer camp waterslide in front of the fire station, and there will be a hot dog cookout from 12PM to 1PM while supplies last. Families can tour the fire station, fire trucks and ambulances during their visit, and the WCSO K-9 Unit will be stopping by to talk to visit with families. The Walton County Animal Shelter will be giving away a free nametag, toy and goodie bag with each adoption at Saturday’s event. The adoption fee is $55, which includes spay/neuter, vaccines and a microchip. The event will take place at the Woodlawn Fire Station off of Highway 331 from 10AM to 2PM.